Come and cheer on your favorite team and driver at the Adult Big Wheel Rally, 10:00am Sunday, October 15, on the Hill in Sister Bay. Sixteen different Sister Bay businesses are sponsoring Big Wheel teams and “Pit Crews” to compete for the coveted Verda Trophy. The sponsoring businesses are: Al Johnson’s, Boat House on the Bay, CHOP, Door Guide Publishing, Fred & Fuzzy’s, Husby’s, Inn at Little Sister Hill, Little Sister Resort, LURE, On Deck Clothing Company, Open Hearth Lodge, Peninsula Pacers, Roots, Sister Bay Automotive, Sister Bay Bowl, and the Sister Bay Advancement Association. Watch as the drivers navigate their adult sized big wheels down highway 42 past throngs of cheering fans to cross the finish line. Fall Fest Street food and drink vendors will be open for business so grab your favorite, get a good spot and watch as the fun goes speeding by. More details are available online at www.cometosisterbay.com. 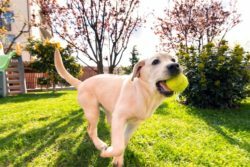 Look for it in our Fall Fest ad in the Pulse on October 6 or in this year’s edition of the Fall Fest Times when you get to town. 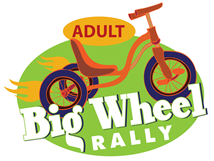 The Adult Big Wheel Rally is sponsored by the Village of Sister Bay.